KANSAS CITY, Mo. 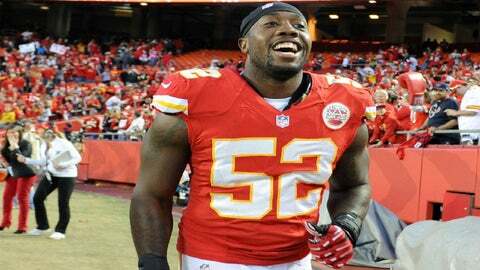 — The Kansas City Chiefs placed linebacker James-Michael Johnson on injured reserve with a sprained ankle Tuesday and signed linebacker Robert James as they began preparing for the playoffs. The Chiefs visit Indianapolis on Saturday. Johnson was hurt in last week’s overtime loss to San Diego, when he received extended playing time as the Chiefs rested most of their starters. He made five tackles and has his first sack. Johnson had played primarily on special teams this season. James has not played this season after spending last season on the Falcons roster. He was a fifth-round pick of Atlanta in the 2008 draft.